Here it is!!! We are so excited to launch our brand new programme of events for Jonathan Swift Festival 2018. Taking place across the city in multiple venues, programme highlights include comedy, musicals, spoken word, beer tasting sessions and tours. 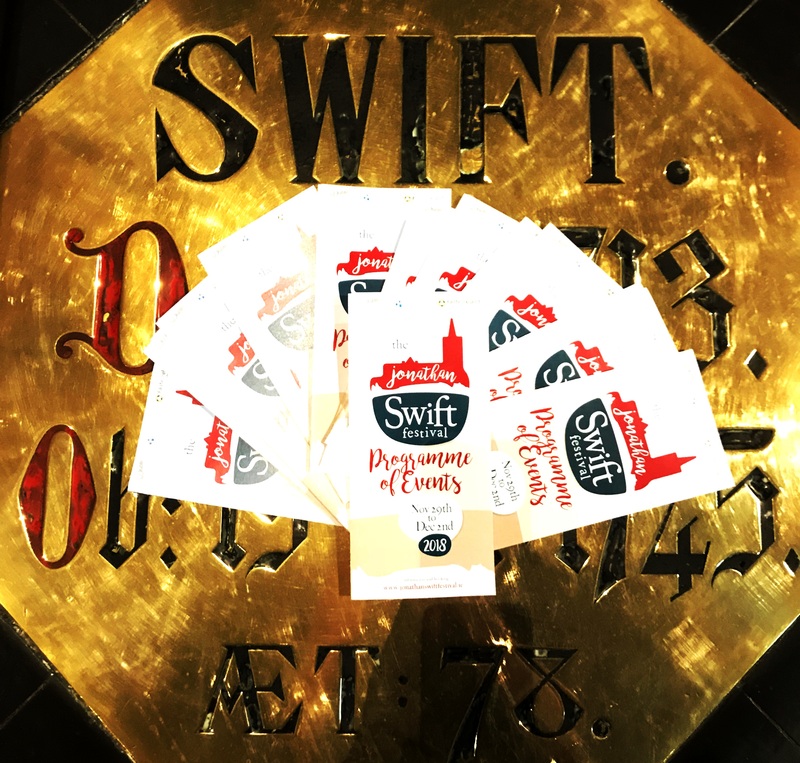 Never one to shy away from controversy the programme reflects this boldness at the heart of Swift’s satire as it explores topical issues throughout our numerous debates and public discussions. And what better way to relax after four jam packed days than to unwind at “Gulliver’s Fair” at St Patrick’s Park and sample the very best of artisan foods from round the world while festival favourites Fanzini entertain Gulliver’s youngest travelling companions with whimsical performance and circus workshops. Stay tuned for exciting updates as we reveal this year’s special guests!!! Launch of this year’s festival!